The question for all of us must be faced. What sort of planet will our children, grand children and great grand children inherit, if this land is used in the way proposed by the Government? This submission is presented on behalf of the Josephite Justice Office, a ministry of the Congregations of the Sisters of St Joseph. The Sisters of St Joseph and our Associates (numbering approximately three thousand women and men) were founded in the mid-nineteenth century by Mary MacKillop and Julian Tenison Woods to work with those suffering from poverty and social disadvantage. We educate, advocate and work for justice, for earth and people, especially those pushed to the margins. We commend this Inquiry into the siting of national radioactive waste management facility (NRWMF) at Kimba and Hawker. It is particularly encouraging to note that the Government has stated unequivocally that it will not impose such a facility on an unwilling community. The controversy surrounding the siting of a NRWMF in any area of Australia over recent years indicates the strength of feeling and the contradictory evidence being argued. It is our belief that until these arguments can be resolved, then even the specific terms of reference nominated for the Inquiry will be grossly inadequate. Given that context, this submission will nonetheless address the terms of this Inquiry, focussing on both the appropriateness and thoroughness of the site selection process at this stage. 6. any other related matters. The two sites being actively considered are Barndioota, near Hawker in the iconic Flinders Ranges, and two sites on farming land near Kimba on the Eyre Peninsula. area, but also of the wider community whose lives and reputation will be affected by the placement of the plant. How this can be determined at each stage of the process is questionable, given the current tensions in the areas concerned. • The deep fear that there could be a failure of protection for residents continue to concern residents, despite assurances that radioactive waste facilities are designed with numerous layers of protection. Questions have been asked as to whether the degree of backing for the ‘community benefit program’ comprises support for the project itself or support for the funding. Regardless of such motivation however, community support is questionable, and Indigenous community sentiment is negative. The siting of a NRWMF at Kimba and Hawker is seen by many Indigenous Australians as a lack of respect for the First Nations Peoples and their land. Aboriginal communities in South Australia suffered British nuclear weapons testing in the 1950’s and 1960’s, and continue to suffer health and social impacts from these tests. The proposed facility is seen as further disregard and destruction, a permanent imposition on country, people, laws, environment and culture. Past experiences indicate that Indigenous support will be difficult to receive, and that at each advancement stage, further polarisation of both Indigenous and other communities will occur. From Elders in the South Australian communities to young people now speaking out, many generations are resistant of a NRWMF. There is no doubt that broad and much wider community views should be taken into consideration. The siting of the facility in South Australia affects not only the communities of Hawker and Kimba, but also the surrounding areas, and indeed the whole of the state and beyond. 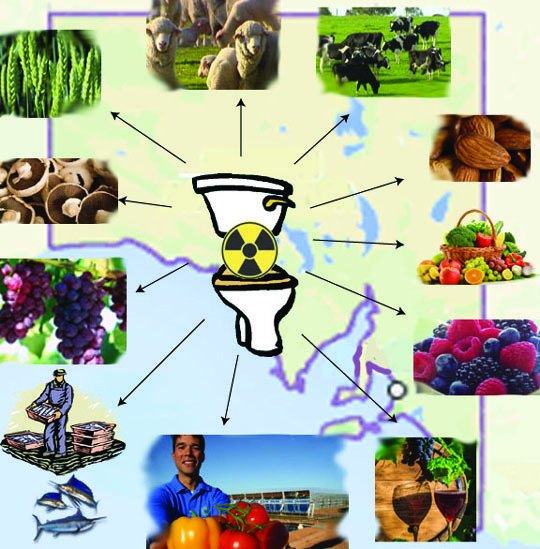 The appropriateness and thoroughness of the site selection process for a national radioactive waste management facility at Kimba and Hawker in South Australia continues to be questioned despite Government assurances. It remains reassuring to note that the Government has stated that it will not impose such a facility on an unwilling community. The polarisation of the community indicates that there remain significant concerns on the part of local residents, as well as across the broad community of South Australia. Finding a solution to this current dilemma is not the work of a single discipline or a single group or a single political strategy. Its solution lies as much in scientific data as it does in the ongoing consultation of communities, as much or more in a love land as it does in our instinct for self-preservation or profit.